Republic Wireless claims to offer excellent phones and service at rock bottom prices. 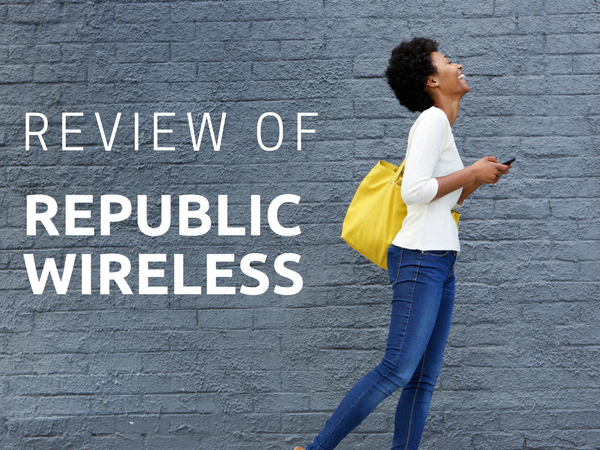 In this Republic Wireless review, we put these claims to the test. Mobile devices were supposed to free us from the tethers of landlines. Unfortunately, many wireless plans can leave us tethered to expensive contracts and oppressive terms. This is why contract-free mobile plans have become so popular in recent years. One of the big stars of the contract-free world is Republic Wireless. Are you thinking of making the switch to this way of talking, texting and browsing? The first step is determining whether you have coverage in your area. This link takes you to a tool that detects your location and determines your coverage. I tested it in Springfield, MO and had full coverage. As the map below shows, Republic Wireless covers most of the U.S.
Republic Wireless’ pricing is a breath of fresh air compared to other carriers with complicated pricing layers. The entry price point is $15 per month for the company’s basic plan. How does Republic Wireless offer such low rates while still providing reliable service? It also offers other plans of up to 10 GB of data. It does not offer an unlimited data plan. Republic Wireless offers a free app that tracks data usage every month. You have the option to instantly upgrade to a more expensive tier if you reach your data limit before the month is over. However, it will be your responsibility to switch back to the lower price tier at the end of the billing cycle to avoid the higher rate for the following month. Without question the low prices are the best feature. Compared to the big four carriers, Republic Wireless’ prices can’t be beat. We also like that you can switch back and forth between plans. This helps when you need a little extra data in one month, or a little extra cash in another. This provider’s biggest strength also happens to be its biggest weakness for some customers. Republic Wireless is able to offer rock-bottom rates because it defaults each phone to Wi-Fi. This means you can’t automatically bring your own phone or transfer over a phone from another provider without first checking to see if your device is compatible. Unlike most other commitment-free carriers, Republic Wireless does not sell refurbished phones. The company only sells new phones via its online store. The absence of any type of family plan also detracts from the appeal of Republic Wireless a little bit. While this won’t concern you if you’re looking for a plan on your own, families looking for an easy and affordable way to divide usage between several people could be disappointed by a lack of options when signing up with Republic Wireless. 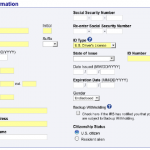 However, you can manage several individual plans under one main account. Is Republic Wireless a Good Fit? Republic Wireless isn’t the best provider for super users. You’re really only getting a great deal if you opt to sign up for one of the bottom-tier plans that are available. The larger data plans that are available offer slightly less than what you can get with other contract-free options for what works out to be slightly more money per month. Republic Wireless is a great option for a person who is a low data user. This would be someone who uses their phone primarily at home while connected to their own Wi-Fi network. One thing to remember is that the coverage you experience with Republic Wireless could vary depending on where you’re located. This means that super users or people who are counting on their phones while on the road for business might be frustrated by the fact that they won’t be relying on one consistent network to access calls, texts, and data at all times. The silver lining is that this is a commitment-free option that you can leave without facing any fees or penalties. The Republic Wireless 14-day guarantee makes it possible to end service and return your phone without penalty if it turns out that this ultimately isn’t the right option for you. To get more details, visit Republic Wireless.